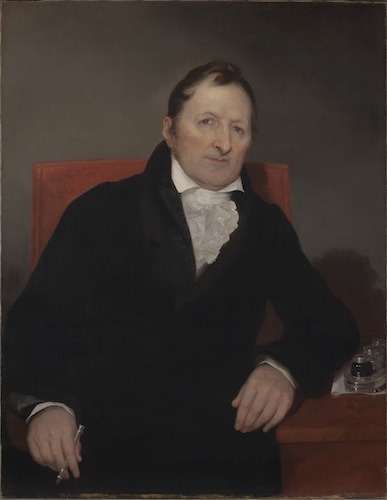 Eli Whitney was born in Westborough, Massachusetts, in 1765, the year of the Stamp Act, and grew up during the tumultuous years of the American Revolution. He was the oldest son of a farmer, and those were difficult times for farmers in New England. Making things more challenging for Whitney, he actually had little interest in farming. Leaving the farm behind, Whitney decided that he needed a college education to further his career and worked as a teacher to support his studies in preparation for admission to Yale. He was 23 years old when Yale admitted him, far older than most students. Yale professors Ezra Stiles and Benjamin Silliman recognized his intelligence and abilities, and Stiles obtained a teaching position for Whitney in South Carolina following his graduation in 1792. Whitney hoped to become a lawyer, but money continued to be a problem. His father paid for his education at Yale, but was unable to provide further support. Whitney never took up his teaching post in South Carolina. While staying with friends in Georgia, he discovered the need for a machine that removed the seeds from the fibers of raw cotton. The burgeoning textile industry in England created a huge demand for cotton, but the difficulty of removing seeds from the fibers made cotton production in the American South unprofitable. Whitney’s cotton gin changed that almost overnight. 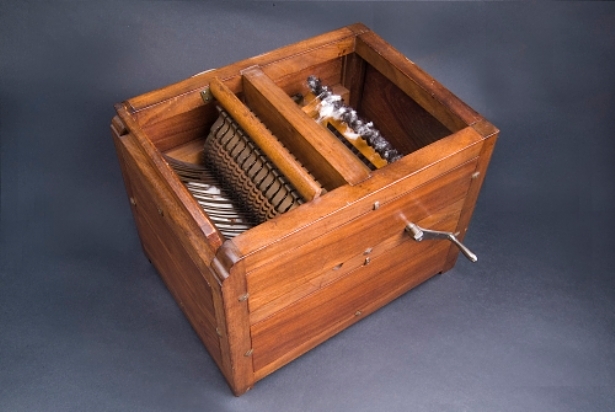 Whitney always had a gift for making things, and in about ten days, he devised a model for a cotton gin that cleaned more than ten times as much cotton as a single man doing the work by hand. He patented his machine in 1794, but he and his partner, Phineas Miller, were never able to produce enough gins to meet the farmers’ needs. The principles behind the machine were simple and, consequently, cotton growers all over the South soon began making their own (or bought them from local manufacturers). Whitney spent years protesting these patent infringements and became entangled in numerous lawsuits. His law studies proved useful in these endless court battles, but he never became a lawyer. He became, instead, what today is a mechanical engineer, though no such profession existed in the 18th century. 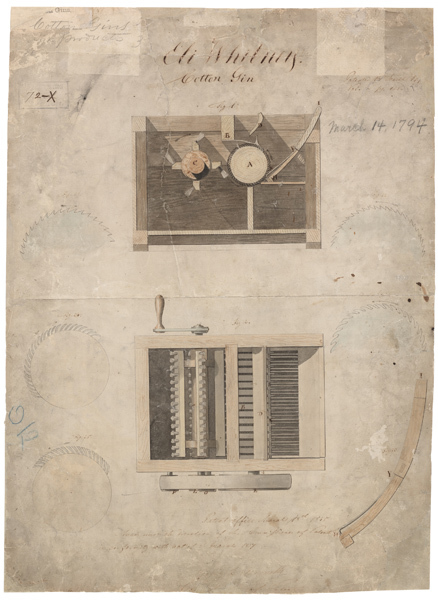 While the struggle over rights to the cotton gin continued, Whitney turned to another endeavor—making muskets for the United States government. He obtained a contract for 10,000 muskets, believing he knew a way to make them faster and better than anybody else. He established a factory in Hamden, Connecticut, just north of New Haven (in an area that became known as Whitneyville), and began making thousands of interchangeable parts for his muskets. Progress was slow because Whitney had to create the machines to make each individual part, developing in the process the modern machine tool industry. He developed a filing jig, a drilling machine, a milling machine, trip hammers, and other labor-saving devices, all power-driven. He never patented any of them. Once workers manufactured all the necessary parts, they could quickly assemble the muskets, with no need for additional filing or fitting. By 1812, Whitney produced 1,000 to 2,000 muskets per year. Other manufacturers adopted Whitney’s methods and soon interchangeable parts and mass production became popular in other industries as well. Whitney married late in life and had one son, Eli Whitney Jr. He also helped to raise and educate his sister’s two sons, Philos Blake and Eli Whitney Blake. All three boys showed an aptitude for business. Eli Jr. was still a child in 1825 when his father died, and the young Blakes took over the running of the Whitneyville factory. The three continued Whitney’s methods into the mid-19th century. Throughout his life, Whitney showed little interest in politics and he did not live to see the enormous impact of his inventions on his nation’s history. The cotton gin set the South on a path of agricultural expansion dependent upon the use of slave labor. Whitney’s manufacturing methods fueled the industrial development of the North. In the 1860s, the inevitable collision between the two systems resulted in the bloodbath of the American Civil War.